Buy Two and Save! One for $34.99, TWO for $64.98! 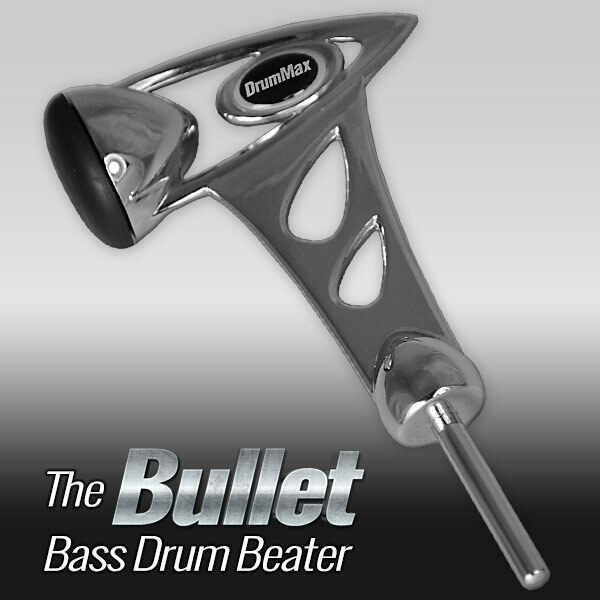 The Bullet is a bass drum beater that gives you so much speed that it’s “faster than a speeding…” well, you know. We’ve shortened the shaft and created an aerodynamic design that gives your strokes superhuman, lightening-fast power. You’ve never seen anything like this before. Experience The Bullet by DrumMax™. *Not to be used with Axis pedals. Buy two and save! One for $34.99 or TWO for $64.98!!! Hi Ralph, Thanks for your comment, but it’s a common misconception that The Bullet is only for speed players. Since it’s shorter, it gives you more control without loss of power, because of the way it’s weighted. It’s not a one-trick pony at all; it’s very versatile and can be used in many musical styles. Got the bullet bass drum beaters the other day and tried them out. They are simply great. Very responsive for speed and heavier types of music like metal and rock and very light for delicate playing like jazz. Love them and also go real well in terms of looks with my special edition chrome iron cobra double pedal. Great product and one of the best product accessory buys I have made since purchasing my Coady Hi hat clutch combination a few years back. 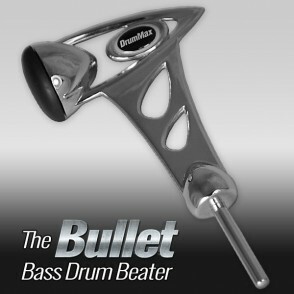 I would love to try out a set of bullet bass drum beaters! My question is if I am not satisfied with this product may I return my items for a full refund? They look great and seem to be designed well like all of the drummax products but are none the less still quite expensive. Please and thank you for any info. You sure can! We would love for you to try them out and see what you think!